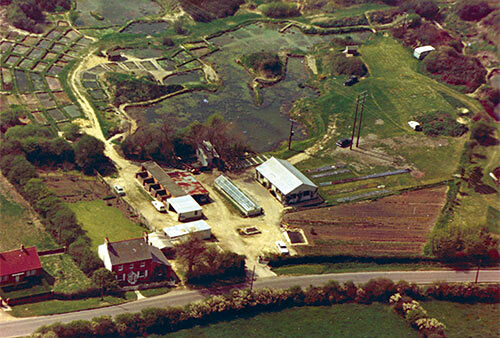 Bennetts Water Gardens were founded by the Bennett family in 1958 on the site of the old Putton Brickworks in Chickerell. Aerial view of part of the gardens, 1968. 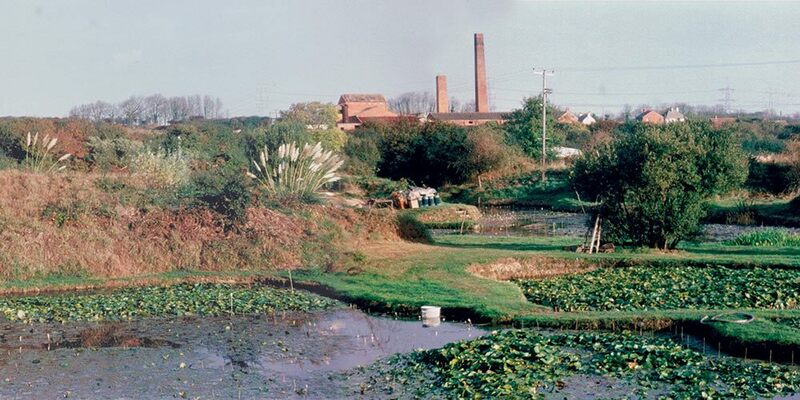 The Putton Brickworks in Chickerell village closed in the 1950s and the clay pits they had carved into the landscape flooded creating a series of ponds and lakes. When Norman Bennett came by these ponds a few years later he saw an opportunity to grow his love of pond plants and, in particular, water lilies. Many of the original water lilies planted here by the Bennett family in 1959 were purchased from the same nursery in France that supplied Claude Monet for his garden in Giverny. Those same varieties that Monet painted are among the collection held here today. The Monet Bridge was commissioned here in 1999 to commemorate 100 years since Claude Monet's famous painting ‘Water Lily pond 1899’ was produced, and recreates the painting of a wooden Japanese Bridge over a colourful water lily pond. 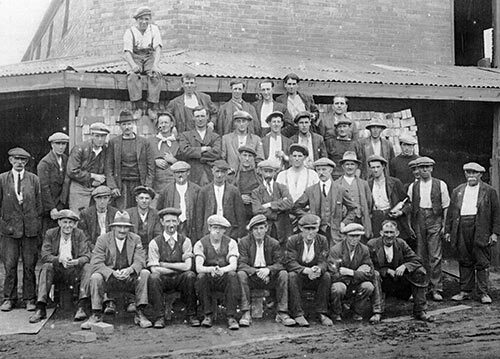 The museum details local history including Chickerell village, which is mentioned in the Domesday Book, and about the fascinating history of this site from the Brickworks & Claypits of 1859 to the gardens of today.. There is also a display about The Fleet lagoon, an unusual area of brackish water between Chesil Beach and the mainland. You can find more history about Bennetts Water Gardens & the local area in our museum during your visit.